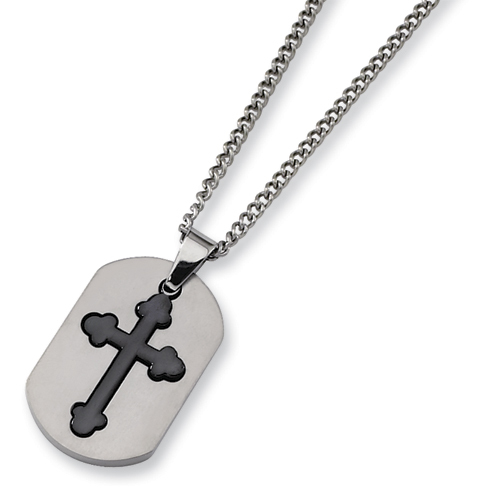 Titanium Black Plated Moveable Cross Necklace. Made of commercially pure [CP] titanium. This item includes a free 22-inch stainless steel chain. Fancy lobster clasp.